I’ve never met a pig I didn’t like. From what I’ve read, they can sometimes be pretty difficult friends to have. But just because your friend is difficult doesn’t mean you kill and eat them. So be nice to pigs. Pigs also live for around fifteen years, so don’t get one if you’re going to simply get rid of it when you’re sick of the hassle. Animal rights activists are critical of owning pigs as pets. Keeping pigs that have been rescued from slaughter is a growing movement but those pigs are generally the huge 350kg animals. Don’t put one in your backyard. These are good practical and ethical reasons for thinking twice about having a pig in your backyard. All in all, unless you’re absolutely sure that you can be a good friend to a pig and be a good pet owner, don’t get a pig. And if you can’t be a good pet owner, just steer clear of pets altogether. People who want to keep pigs as pets in metropolitan areas (rather than sanctuaries for rescued animals) aren’t talking about something the size of Esther the Wonder Pig. Those guys got duped. What they’re talking about are pigs that are about 60 centimetres at the shoulder, or about 90 kilograms at most. So what are the rules? Bear in mind we’re looking at pigs in residential areas and not piggeries and that there are a bunch of other conditions you would have to comply with if you wanted a pig as a pet in a residential area. You can find further information about this from the Department of Agriculture. This is just your starting point and it is a survey only of local laws. Citations are to the relevant local government authority’s Local Health Laws unless otherwise specified. East Fremantle and Peppermint Grove don’t appear to have local laws governing the keeping of pigs. Good luck getting the Department of Agriculture to approve your registration there. If you’re an anarchist (in which case this whole post is probably irrelevant) and you can find an anarchist in the Department as your collaborator it would appear that for once Peppermint Grove is your natural home. Bassendean, Canning, Claremont, Cottesloe, Mosman Park, South Perth, Stirling No one may keep a pig: Bassendean – s. 5.15(1); Canning – s.63(3); Claremont – s.69; Cottesloe – s.69 (miniature pigs specifically included); Mosman Park – s.66; South Perth – s. 65; Stirling – s. 5.8(3). 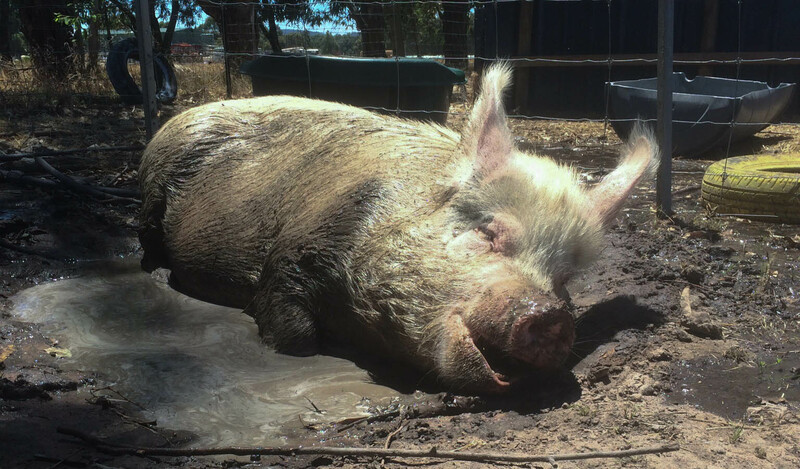 Kwinana Pigs may only be kept in rural zoned areas: Piggeries By-laws s.1. Rockingham Pigs may only be kept in rural zoned areas, but you can apply for an exemption: s.71. Kalamunda An application must be made to keep any animal, including large animals. The information to be included in an application to keep any animal is detailed and each application will be determined on its merits: ss 4.1, 4.4, 4.5. Nedlands Large animals may only be kept with approval of the council; and must be kept in a ‘stable’; and must not approach within 15 metres of a house or food premises: ss 68-70. Bayswater, Perth, Subiaco, Victoria Park Large animals may only be kept with approval of the council; and must be kept in a ‘stable’ which must be 15 metres from the nearest house; and must not approach within 15 metres of a house: Bayswater – ss 5.14-5.16; Perth – ss 68-69; Subiaco – ss 70-71; Victoria Park – ss 68-69. Belmont, Vincent Large animals may only be kept with the approval of the council; and must not approach within 15 metres of a house: Belmont – ss 67-68; Vincent (defined to include ‘miniature species of the same animal’) – ss 68-69. Fremantle Large animals may only be kept with approval of the council; and must be kept in a ‘stable’ which must be 15 metres from the nearest house; and must not approach within 15 metres of a house except the house of the owner which it may approach no closer than 6 metres: ss 71-72. Melville (Approval not required) Large animals must not be kept within 15 metres of a house: s.67. Armadale An application must be made to keep any farm animal. The information to be included in an application to keep any farm animal is detailed and each application will be determined on its merits: ss 30-33. If you can find a property sufficiently large in any of these areas (some more likely than others) you can have a miniature pig. Cambridge, Cockburn, Joondalup, Wanneroo You can keep one miniature pig under strict conditions. A miniature pig is defined as being no higher than 650mm at the shoulder and weighing no more than 55kg: Cambridge – ss 1.6 & 5.9; Cockburn – ss 2.1 & 2.28; Joondalup – ss 6 & 41; Wanneroo – ss 6 & 41. Gosnells You can keep up to 2 miniature pigs in a residential zone: ss2.8(1); 2.10. A miniature pig is defined as being no higher than 650mm at the shoulder and no more than 55kg: s.1. Swan Apparently you can keep any livestock in any part of Swan so long as it’s fenced: Consolidated Local Laws 12.22-12.24. Lobby your council to amend their local laws in the same terms as those councils.